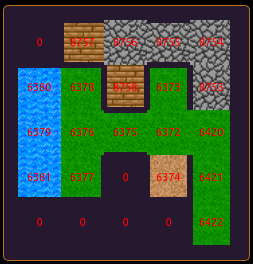 I've been working with the Slothmud community and have created a nice map that shows a 5x5 region of your current area using tiles. It relies heavily on MSDP info sent by the server. The map has 3 layers: the bottom layer displays terrain, the middle displays walls (or non-exits) and the top (which is still under construction) displays pc/mob/room info with small icons (a forge would have an image of a forge in the room). The map is very game-specific but I thought I'd display it here to feed ideas to hungry scripters.